A promising new program is bringing Denver Police and local youth together to build relationships and trust and to decrease potential conflict. "Bridging the Gap: Kids and Cops" is a program being implemented by the Office of the Independent Monitor through a grant from the Justice Assistance Grant Program administered by the Division of Criminal Justice’s Office of Adult and Juvenile Justice Assistance. The project consists of two parts: training and relationship building. First, Denver Police officers complete an 8-hour training curriculum addressing youth development, disproportionate minority contact, and de-escalation techniques. The second part of the project focuses on youth/law enforcement relationship-building through a five-hour forum that brings young people and law enforcement together to train, engage and interact. The goal: to establish better relationships -- or at least respect amongst the two groups. Police learn about youth development, adolescent development and implicit bias as it relates to dealing with youth. Simultaneously, youth participants receive training on their rights and responsibilities when stopped by law enforcement; they also learn about implicit bias. The young people and law enforcement then come together to develop a plan that addresses best practices for youth interacting with law enforcement and for law enforcement interacting with youth. Since the program launched in 2014, it has arranged 13 forums with 454 youth participants. The forums are powerful tools. The program has already held several events, and evaluations show that the majority of participants leave with a better understanding and respect for one another. “The most important would be that not all cops are the same. Every cop has a different story to them,” one youth participant reported. Read other testimonials from participants. 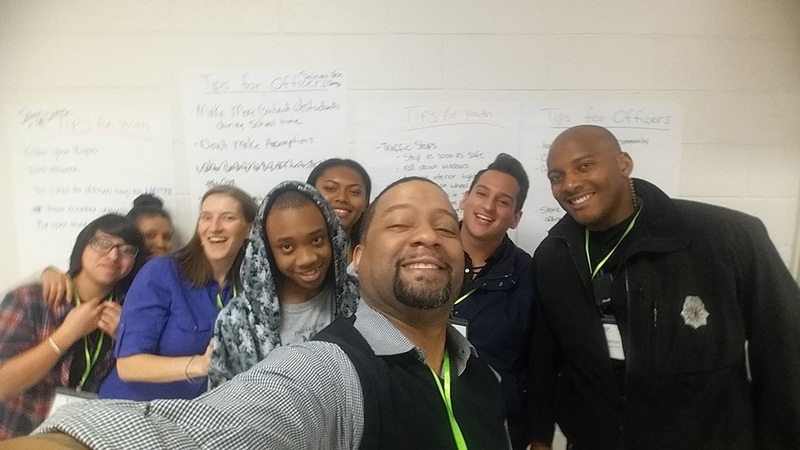 Kids and Cops has trained 85 community leaders in facilitation skills necessary to deliver the curriculum, 20 of which are youth and 80 of which are people of color. The program has trained 173 officers on adolescent development and de-escalation techniques with youth. Organizers estimate that the total number of youth reached through the forums and workshops is close to 1,000. The program is on track to effectively engage at least 150 community leaders and organizations in 2017. Program partners are hoping to see long-term benefits from the program, and will be working to measure its effectiveness. The University of Colorado Denver, School of Public Affairs is working with project staff to develop an instrument that will measure longer-term impact on future delinquency for the youth who receive the intervention in comparison to youth similarly situated who do not receive the intervention.